I bought this old girl nearly 2 years ago as when we bought our new home we were going to need to do a lot of work. For starters the unmade road to it needed levelling, then the drive had had stone put on it time and time again so much it was 8” higher than the bottom of the garage doors I then would need to build myself a new workshop and then finally a new house to replace the old one! The front loader has some cracks around the hinge on one side so that needs welding properly. The other sides been done and holds fine. 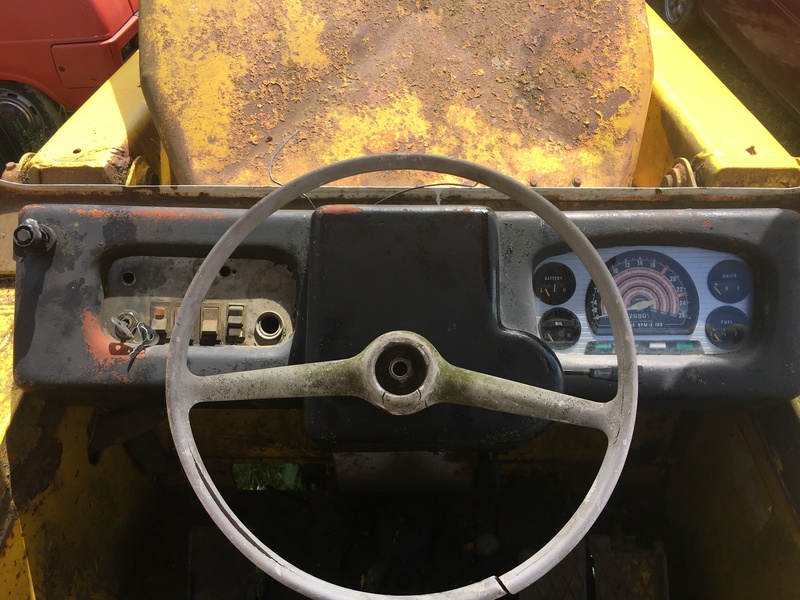 Hi James and welcome to CMN nice old JCB you have there I would simply measure the outside diameter of the oil pipe to the dashboard and get a small coil of it and cut it to length as required. Jeremy Rowland wrote: Hi James and welcome to CMN nice old JCB you have there I would simply measure the outside diameter of the oil pipe to the dashboard and get a small coil of it and cut it to length as required. Hi Jeremy, thanks, the only issue being I wouldn’t have anything to screw into the gauge? Presuming it has a screw on union like most oil pressure pipes. Also, does anyone know the inside diameter for the pipe for the sight tube for the hydraulic oil in the cab? Its a bit dark to go outside measuring. James I am guessing here that the union connectors should be pretty standard I would take the gauge out of the dashboard and look at the connector on the back you should have no issue getting one. Is the pipe that you are talking about 8 ins long plastic with a threaded nut on each end if so i may have one in my workshop. topkit wrote: Is the pipe that you are talking about 8 ins long plastic with a threaded nut on each end if so i may have one in my workshop. 8 inches sounds quite short, will check length and get back to you it would have threaded nuts in each end though! Oh and I desperately need glass before winter now! I also need to do something about the bonnet hinge. It’s broken so the bonnet is just balanced on. Probably need to run right through the fuel system to make sure there is not any gunk blocking.